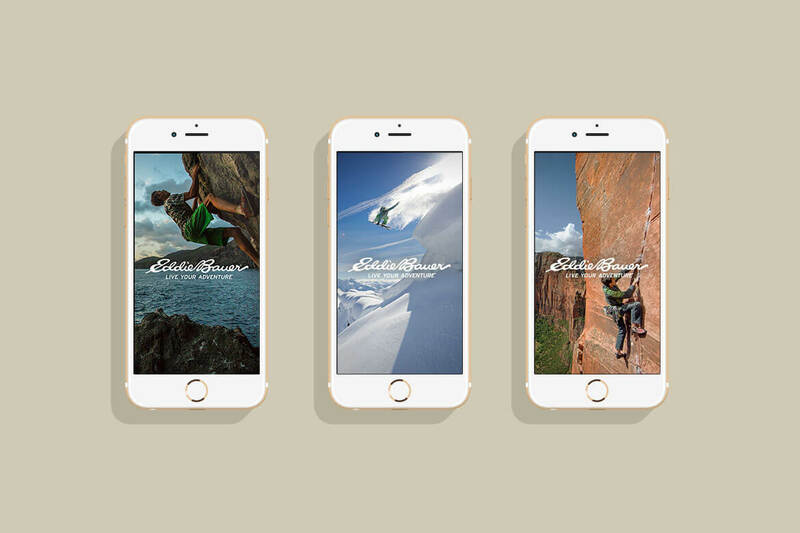 Designed and developed for Eddie Bauer together with Deloitte Digital, this iOS app makes adventure more accessible than ever. 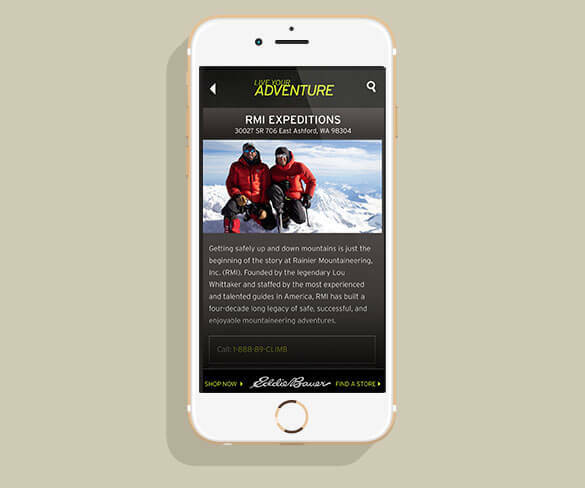 From expert reviews to step-by-step directions to the activity, this app opens the door to all life’s adventures. The load screen cycles through several inspiring active images. 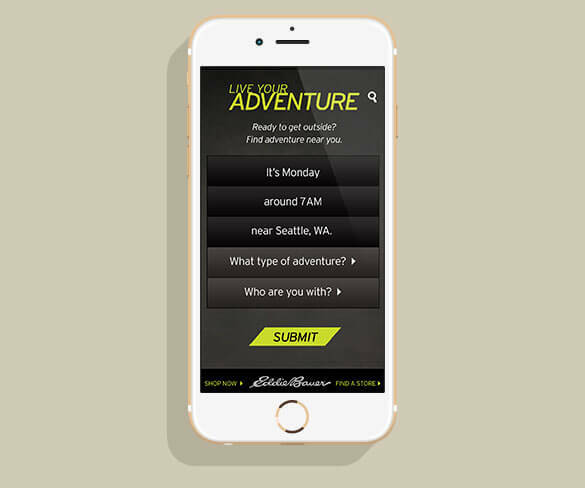 The app uses location services to determine your location. The user is then asked a series of questions about the activity that they seek that help filter the results—questions like, how many people you are with, do you have pets with you, what level of difficuly are you looking for. 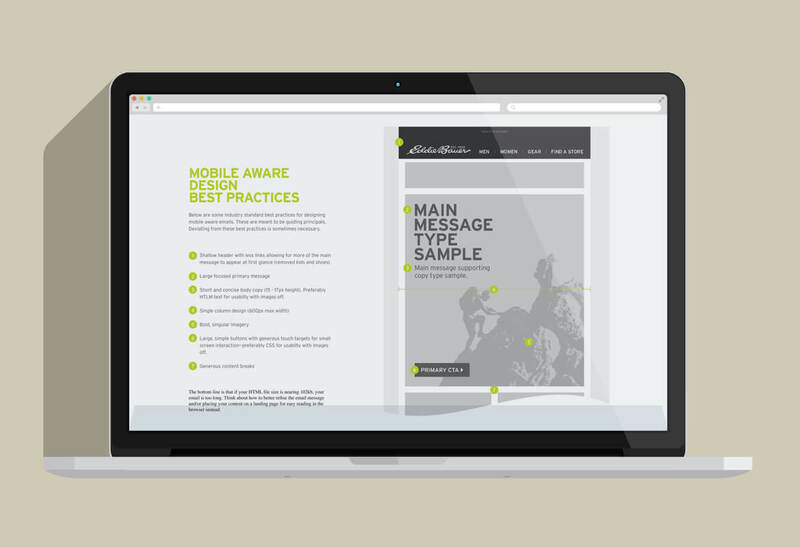 The results are displayed by relevancy and can be viewed in list form or on a map. The applied filters are visible above, and the distance to the activity is displayed with the entry. When the user select a result they are taken to an activity detail page that display photos, a brief description of the activity or service offered, and address and contact information. 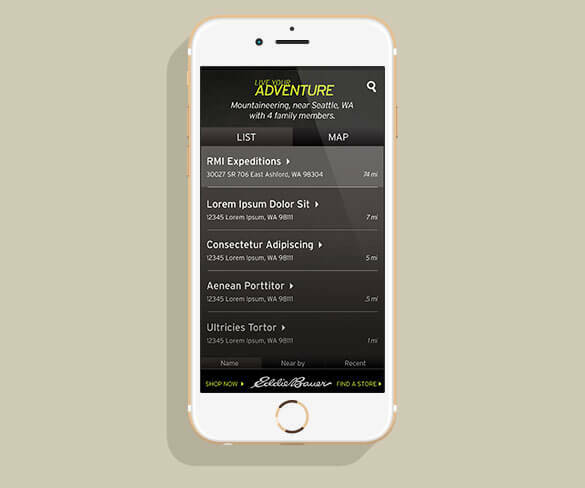 At the bottom of the screen there is a utility nav with quick links to shop eddiebauer.com, or find an Eddie Bauer store nearest to your current location.